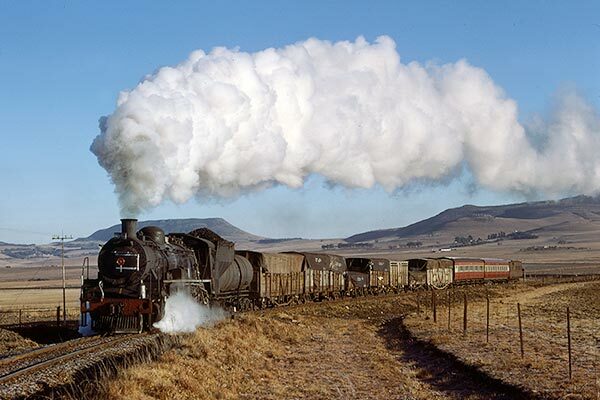 Caption - South African Railways (SAR) 19D class 4-8-2 2682 heads the 0715 mixed train from Volksrust to Bethal. Seen in July 1979 about 16km from Volksrust, the heavy overnight frost has nearly cleared from the ground but it is still cold enough for a nice white exhaust trail. This line became one of my favourites with the reliable 19Ds performing very well on the varied gradients of this line.